This bibliography was developed in response to numerous teacher requests for assistance with curriculum tie-in books, especially as related to tolerance. Thanks to all who suggested titles for this bibliography. I’m no longer taking bibliotherapy suggestions but would welcome those of curriculum-related books. Afghanistan for Kids by Don and Alleen Nilsen, professors of English, Arizona State University; Cajsa Baldini, Web editor. America Responds from PBS offers resources for parents and educators. Parent pages offer ways to talk and family activities. Educator pages offer lesson plans and online resources. Asia for Kids: a first-rate catalog. They offer a number of books “to educate children and grown-ups about Islam, Muslim, Sihks etc.” They also offer videos of Arab-Americans. Books for Military Children: annotated bibliography (with cover art) of more than fifty books portraying children with parents in the U.S. military. Divided by picture books, middle grade, teen, and teen/adult. Children’s Peace and Anti-Bias Library by Julie Olsen Edwards from Cabrillo Community College. Children of War: Tales of Child Refugees and Safe Havens by Kathleen T. Isaacs from School Library Journal. Japanese Americans in Children’s Books: Relocation and Internment from CYALR. Bibliography of related books and links. May be useful for curriculum about tolerance related to recent events; offers historical perspective. Peace and Non-Violence Curriculum by Cecil Ramnaraine from the Minnesota Center Against Violence and Abuse. Features extensive children’s peace bibliography. 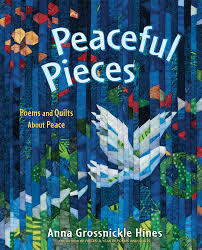 Poetry Books for Young People about War and Peace from Sylvia Vardell at Poetry for Children. Note: scroll for bibliography. Weapons of Mass Instruction: Anti-War Books for Young People, which includes links to additional bibliographies. This bibliography was compiled with the help of Janet Zarem, author Sara Jane Boyers, author Carol Flynn Hararis, author Katie Davis, author Annette Simon, Laura Tillotson of Book Links, Kathy Malu, Tracy van Straaten of Simon & Schuster, and M. Williams of Waterboro Public Library.